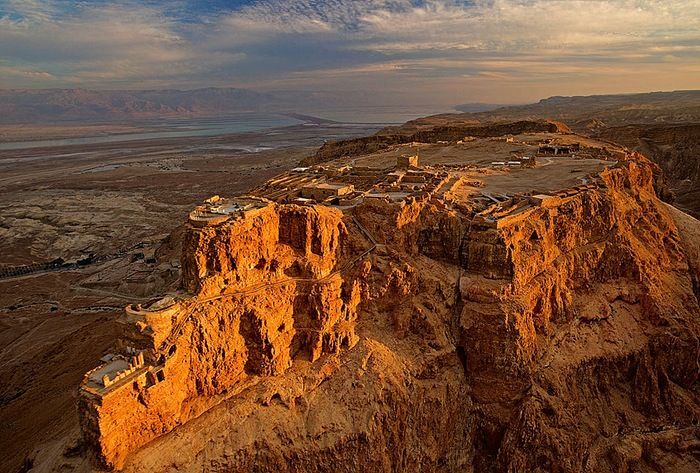 Our Masada, Ein Gedi, Dead Sea and More tour is available from Tel Aviv and Jerusalem will allow you to travel and explore the beautiful Judean Desert to the foot of the Masada fortress which stands beside the Dead Sea. You will ascende via the cable car from the fortress, enjoy the special views, and explore the archaeological ruins including the ruins of the King Herod's Palace, which sprawls over 3 rock terraces, and a Roman-style bathhouse with mosaic floors, before continuing to the Ein Gedi Nature Reserve, an oasis in the desert, for a short hike. Ein Gedi was listed in 2016 as one of the most popular nature sites in the country. Enjoy the unique opportunity to float in the waters of the Dead Sea, and immerse yourself in the famous mud. In 2001 Masada was inscribed on the UNESCO World Heritage List and is a top tourist attraction due to its historical significance and magnificient views of the Judean Desert and Dead Sea. Leaving from Jerusalem early in the morning, we’ll drive south, to the foot of Masada. As you begin to climb the famous ‘Snake Path’ , takes ninety minutes to two hours, and enjoy the a moderate hike to the Israel’s most important archaeological sites, and the site of one of the greatest tales of Jewish heroism. The excavated ruins are fascinating to explore, and the remarkable location high above the surrounding desert and Dead Sea, makes this a might impressive experience. After exploring the magnificent fortress, the next stop is Ein Gedi , beautiful nature reserve with waterfalls and the last stop is at a 'private beach' on the Dead Sea for a float. Transfer from Tel-Aviv/Jerusalem with our professional fully escorted our pick-up and drop-off service. Moving down through the Judean Desert the lowest region on Earth (photo stop at Sea Level, if time permits)..
On the road, you will also pass the Inn of the Good Samaritan and the city of Jericho.. Hike in the beautiful Ein Gedi Nature Reserve. Float in the private beach in Dead Sea and immerse yourself in the therapeutic mud. Way back there is a quick overview of Oldest city of Jericho and visit the Quasar el Yahud at the Jordan river where all baptism take place. * Water and snacks and Passport.